That Matt Weiner would follow up Mad Men with The Romanoffs, an episodic anthology series wherein each installment is loosely connected by the idea that a character in each story is convinced he or she is descended from the Romanov family, actually makes a lot of sense. Well, the anthology part, anyway. The narrative of his ‘60s-set series unfolded in much the same manner, wherein each episode told a complete story in and of itself, and could, for all intents and purposes, be considered a short story in an otherwise larger collection. That it all revolved around several recurring characters and told the story of their lives with and without one another over the course of several years, then, made it a much more conventional television production. Nevertheless, it appears that Weiner’s first series, after Mad Men completed its run in 2015, is taking that short story concept to an extreme, but logical degree. There’s more to The Romanoffs than how it measures up against one of the best television series of all time. Part of that, certainly, is how the show will be regarded considering the allegations made against Weiner in the wake of the #MeToo movement by former Mad Men writer Kater Gordon. Then there’s the fact that Amazon ponied up a considerable amount of dough for the series, meaning it has a dramatically different look and feel from Mad Men. That series made do with a fraction of the budget this series has, and as a result was shot mostly indoors and on sets, with the characters rarely being seen outside. The Romanoffs, in contrast, filmed all over the globe, which immediately gives each episode its own unique style and texture, as evidenced by the series premiere, ‘The Violet Hour,’ which takes place in Paris (much to Peggy Olson’s chagrin, no doubt), and features the likes of Aaron Eckhart, Marte Keller, and Inès Melab in an unlikely multi-cultural romance seen partly through the eyes of a bigoted older woman whose fears of being forgotten have made her unlikable tendencies more pronounced. 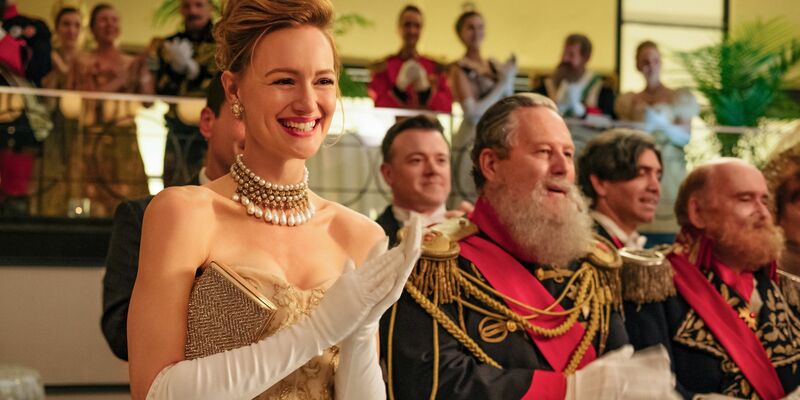 The second episode, ‘The Royal We,’ stars Corey Stoll, Kerry Bishé, and Noah Wyle, among others (it includes an appearance from Mad Men alum John Slattery), which, leads to the second biggest difference (or selling point) of The Romanoffs: its enormous, revolving cast. That the cast only sticks around for one episode at a time (for the most part) is, of course, part of the appeal of an anthology — for the actors, certainly, but also for the bean counters trying to keep the production budget reasonable. But it also creates a fascinating tension in each installment that demonstrates an economical kind of storytelling and, in some cases, the power of brevity (though that’s debatable). Neither ‘The Violet Hour’ nor ‘The Royal We’ have the benefit of potentially becoming their own long-running television series, so Weiner and his staff — which includes several familiar names for those who regularly read the Mad Men credits from week to week, like Semi Chellas and André and Maria Jacquemetton — find themselves in the position of telling a complete story from start to finish, and the result is, not surprisingly, a little like cozying up with your favorite collection of short stories. The stories of The Romanoffs are often whimsical, cynical, strangely romantic, and filled with characters who are, much like those who populated Mad Men, flawed in some very obvious and outwardly telling ways. For instance, they are chronically unfaithful to their spouses or significant others, they harbor bitter resentments and jealousies, are prone to bouts of extreme avarice, and are guilty of a kind of self-absorption common to characters under Weiner’s creative umbrella. And so, if a series where the stories are centered on characters you probably wouldn’t want to hang out with on a regular basis isn’t your bag, well, then The Romanoffs might not be on your streaming agenda. If, however, you don’t need to personally like or agree with the values of a collection of fictional characters, whose actions and interactions are often thorny and complicated, in order to find their stories compelling and entertaining, then this series will be worth a look. Where The Romanoffs gets into trouble, though, is in how its short stories aren’t exactly short. The first two clock in at around the 80-minute mark. The dual narrative of ‘The Royal We,’ a story split between Stoll’s soon-to-be philandering husband, who’s using jury duty as a way to seduce another woman and negate the dissatisfaction he feels toward his life, and his equally exasperated wife (played by Bishé), who is flying solo on a cruise meant for two helps justify that runtime, but it’s not absolutely necessary. In a sense, you get the feeling Weiner (who directed all eight episodes) is having his creative cake and eating it too. He has engineered a project that finds him working within a medium he’s not only well versed in, but has been heavily rewarded for, while still delivering what is ostensibly a feature film — or something very close in proximity to that. 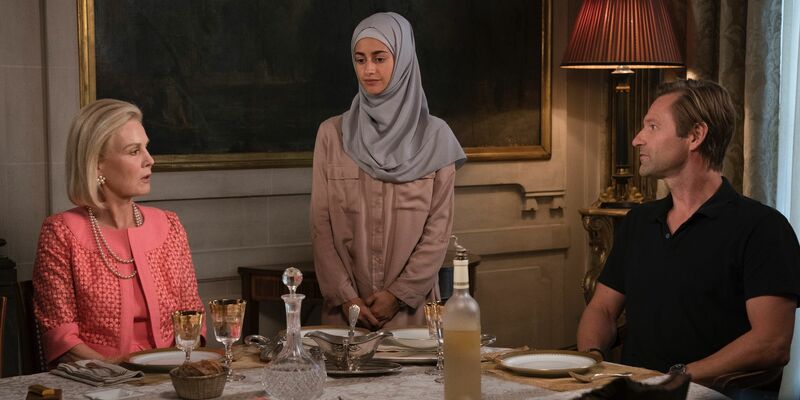 Given the less-than-favorable reception to Weiner’s first feature film, Are You Here, The Romanoffs ideally functions as a correction to that misstep and a welcome return to television. What’s maybe most interesting about The Romanoffs, though, is what it represents in terms of the state of television today, and the degree to which it differs from what is considered popular or profitable. In a time where networks and streaming services (Amazon included) seem to be doubling down on genre programming, especially when it comes to gobbling up every comic book and fantasy series adaptation not already earmarked for big-budget feature films, The Romanoffs feels both antiquated and experimental all at the same time. And so, even though Weiner’s new series doesn’t quite recapture the magic of Mad Men, it is still feels kind of exceptional in its own way. The Romanoffs continues next Friday with ‘House of Special Purpose’ on Amazon Prime Video.